There are several defined whisky producing regions in Scotland: Campbeltown, Islay, Lowlands and the Highlands, with Speyside and the Islands being considered a sub-region of the Highlands. 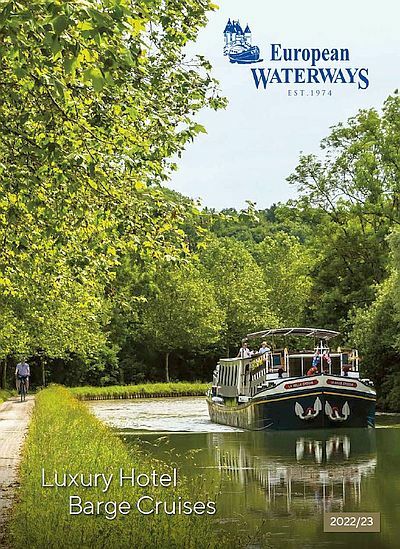 With whisky however, the regional distinctions are not so clear-cut which makes the concept of a whisky-trail barge cruise all the more intriguing. The itinerary that we have put together for our unique Whisky Trail cruise aboard our two luxury Scottish barges includes several visits to some world-renowned Highlands and Speyside distilleries. Each of these sites boasts a fascinating history and some sumptuous single malt whiskies that you’ll have a chance to sample after a private guided tour. Benromach is Speyside’s smallest distillery and was first opened in 1898, before being reopened in 1998 after a century’s troubled and intermittent operation. Their flagship single malt, the classic Benromach 10 Year Old, is a complex whisky, with a nose that is initially quite smoky, with wet grass, butter, ginger and brittle toffee undertones. It is mouth-coating, spicy, malty and nutty on the palate, with developing citrus fruits, raisins and soft wood smoke. The lone survivor of twelve distilleries operating in this area of the Highlands on the Black Isle to the west of Inverness, Glen Ord was founded in 1838 and continues to use the same traditional distillation and fermentation methods it has followed for generations. A range of Singleton of Glen Ord single malts. The 15 Year Old is an elegant and complex single malt whisky. It has a deep amber colour with floral, vanilla and melon notes on the nose. On the palate it is beautifully balanced, with and light overall tartness. This distillery has many claims to fame. It is the highest distillery in Scotland, perched at 326 metres in the Grampian Mountains of the Highlands. It is also known for its role as the recipient of the first American investment in the Scotch whisky industry from 1905, but Prohibition in the 1920s caused the distillery to be returned to Scottish ownership in the person of Lord James Calder. The Dalwhinnie single malts are renowned for their smoothness and the 15 Year Old is certainly elegant and subtle. It. Is light and fruity on the palate, with creamy vanilla and honey notes, a hint of Highland smoke and a whiff of heather on the finish. And as a fourth optional tour, we can also visit the Tomatin distillery, sheltered in a quiet corner in the heart of the Highlands. Although it produces mostly blended whisky, this producer also offers a fine range of aged single malts, from 10 year old to 25 year-old. The Tomatin 18 Year Old single malt is a fully-bodied, velvety smooth whisky. It has a sweet sherry aroma with undertones of cinnamon, apple, vanilla and maple syrup. On the palate it is at first sweet and honeyed with some oak, followed by a bite of citrus and a hint of chocolate. Whisky tasting is an experience that delights both new drinkers and seasoned connoisseurs. A good whisky is, of course, best enjoyed in appropriate surroundings, and where better than on a luxury hotel barge as it cruises through the highland home of the water of life.